Why Christmas is weird and glorious. Thank you to the Petersburg Pilot for publishing my brief Christmas message. If you missed it, here it is, with a phrase or two added. Christmas is weird. 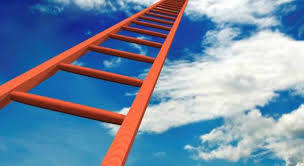 It runs against the grain of religious traditions that say you need to climb the ladder up to God by being a good person. But if only good people go to heaven, I’m in trouble! I’ve got a list of sins and bad stuff on my ledger so long it could fill libraries. The Bible says the wages of sin is death. Heaven is closed to bad people like us. We deserve Hell and deep down we know it. Jesus grew up, lived a perfect life, and went to Hell… so you don’t have to. He was executed on a cross like a criminal. Our sin was put on Him. He suffered God’s wrath in our place, so that if we receive Jesus as savior, substitute, and Lord, His payment and perfect goodness are credited to our account. 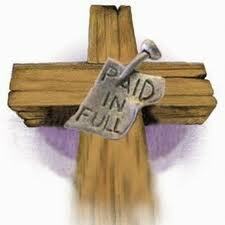 He pays our fine, wipes our ledger clean, and forgives us forever. Jesus has risen from the grave, and if you believe in Him, you too will be raised and will enjoy an eternal home in heaven, because sin’s wages have been fully paid by Jesus. This Christmas, why be weighed down by the guilt and shame of your sin? Be free! The wages of sin is death, but the gift of God is eternal life! Receive Jesus. 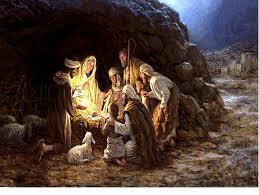 Experience His joy, peace, and forgiveness starting today, and continuing on forever and ever. Christmas may be weird, but it’s glorious!